Calendar and Reminders have been frequently used among Apple’s built-in apps. They do a good job in keeping track of your important work schedules or life events. However, issues always happen, your iPhone calendars and reminders can be lost due to reasons like accidental deletion, iOS upgrade failure, iOS jailbreak, restore factory settings, or device damage/crash etc. 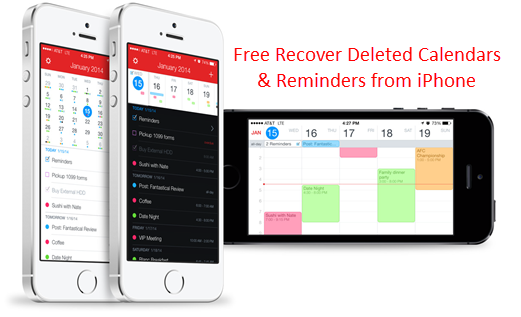 Want to free recover deleted calendars and reminders from iPhone? Here’s how to do it. Apple offers two ways – iCloud and iTunes to help backup device so that users can easily recover deleted files. 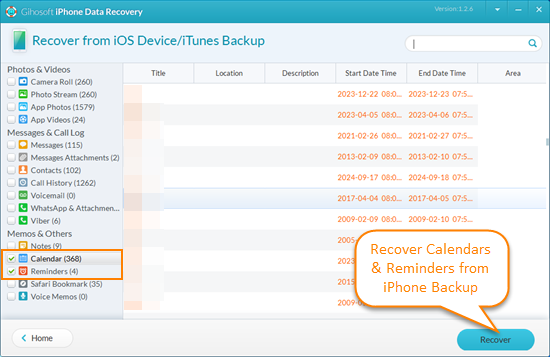 You can restore your device from an iCloud or iTunes backup to get your lost iPhone calendars and reminders back. But keep in mind that, this will replace the current contents on your iPhone with the contents from the backup file. It means that all your contacts, messages, notes, photos, etc. will be put back to the state they were when you performed the backup. Think twice. Thankfully, this isn’t the only way to recover calendars and reminders from iPhone backup. 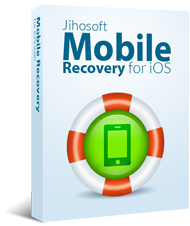 Here we recommend you use Free iPhone Backup Extractor. This freeware lets you access your iTunes backup and selectively recover deleted iPhone calendar events and reminders. In this way, you do not need to run iTunes or connect your iPhone to the computer. Have a try. 1. Run Free iPhone Backup Extractor on your PC. The freeware will find all iTunes backup files on this computer and display them in list. 2. Choose the iTunes backup file for your iPhone and click “Start” to begin scanning the backup for deleted calendars and reminders. 3. When the scanning is completed, you can preview all calendars and reminders and select those you want. Then click “Recover” to save them on your computer. 1. Please remember not to sync your iPhone with iTunes after the data loss. Otherwise, your recoverable iPhone calendars and reminders will be replaced because of the new backup update. 2. Apart from calendars and reminders, this freeware allows you to extract and retrieve deleted contacts, text messages, photos, videos, notes, WhatsApp, Viber, and more from iTunes backup.